Joe’s research focuses on the intersection between urban planning and urban sustainability, and on the role of urban governance and policy in producing sustainable outcomes. He is Deputy Leader of the Clean Air and Urban Landscapes Research Hub, a multi-institution partnership funded by the National Environmental Science Program. In this hub he leads a program of research called ‘Making Greening Happen in Consolidating Cities’. He is a chief investigator on several other research projects funded by the Victorian Department of Environment, Land, Water and Planning; the New South Wales Office of Environment and Heritage; and the Smart Cities and Suburbs program. 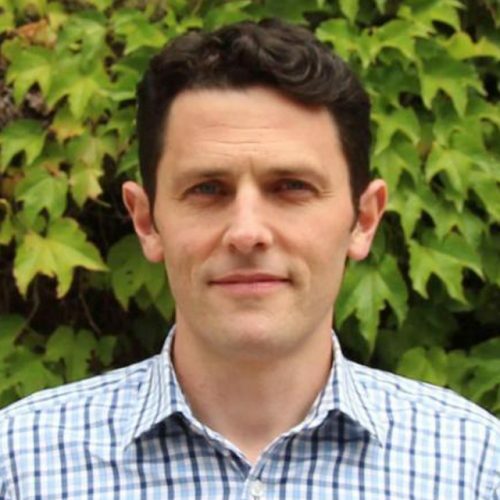 Joe takes a particular interest in the relationship between research and practice worlds and is actively involved in work to reduce the barriers to exchange and enhance collaboration. He is an elected Committee Member of the Planning Institute of Australia Committee, Victorian Division. His teaching is in the areas of Urban Research Methods; Strategic Urban Planning; Urban History; and Global Study Tours. This project investigates the impacts on the lived experience of people in major Australian cities, focusing on the effects of land-use, diffuse air pollution, transport, urban heat and the interconnections between them. An analysis of the role and effectiveness of the building and planning system in delivering sustainable cities. This project investigated available land supply for residential development in Melbourne to test the city’s capacity to cater for a projected population of 8 million by 2050. At the dawn of the 21st century, planners around the world will consider a new agenda for cities. They would shrug off the dimly remembered nightmare of snaking concrete highways and smog-occluded horizons. RMIT’s Urban Futures competition has showcased Victorian high school students’ best and brightest ideas to improve the liveability and sustainability of cities. RMIT’s Urban Futures Competition showcased the ideas of Victorian High School students surrounding the development of vibrant, liveable cities. Getting Dense: Why Has Urban Consolidation Been So Difficult?